Dear Ramakrishnan, Here are my thoughts from personal experience at Karunlay. Goodluck. The Desai family would like to thank Karunalay for their outstanding care of Hemaben Desai . The care and compassion shown by their team is invaluable. Our heartfelt thanks to the entire Dedicated and committed team of DRs, sisters, councilors and support staff. The Karunalay Surpassed all our expectations (coming from abroad) from a facility point of view. 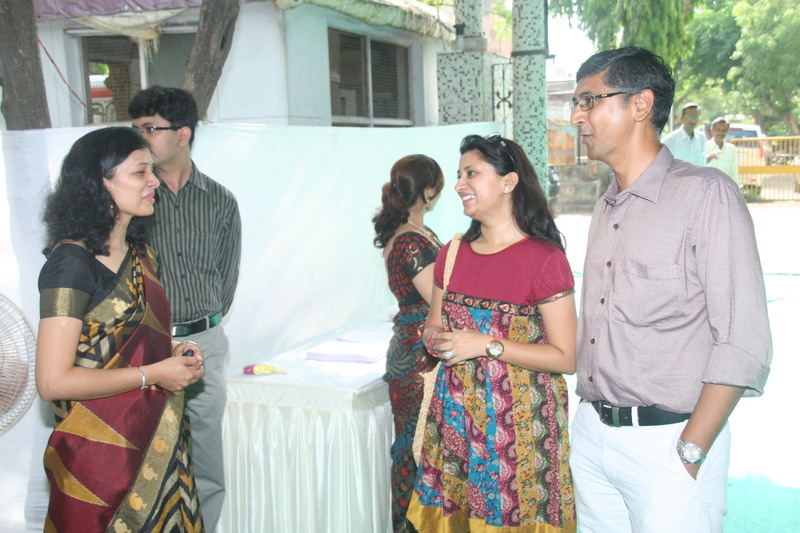 We applaud the SOF vision of starting the Karunalay- a cancer palliative care center and wish them all the success. THANKS!!!! I am also confident that the SOF will also vision to take the palliative care for the incurably ill patient to the next stage by providing care (service resources) to those who would rather die in their own homes. My wife was in very bad condition with health before admitting in “Karunalay”. She was suffering from severe pain, vomiting & sleeplessness. After coming here she felt very relaxed. Now she has very less pain and no vomiting. Very good thing is that she feels homely here. Here doctor, Sister & other staff members are very Co-Operative. We feel that hospital staff is more than family members or close relative. Everybody is so Co-operative even doctor also. In this hospital very nice arrangement is “Tiffin” service. In case patient comes from the outside of Ahmedabad & they don’t have any relative to provide food from home then no problem, “Karunalay” have ‘Tiffin’ service for patient and relative free of cost. Hospital is very neat & clean. After coming here I forgot my home even. Environment and facility of this “Karunalay”- I like the most. “Why it’s me?” I had a cancer since year 2000; I was walking with one leg. I never used stick or crèches. I always sit outside of my house, where my friends tried to entertain me & I tried to help them by filling their any kind of forms like bank form, Government form etc… Since 2 to 3 months I couldn’t walk that’s why I feel too much stress. Why I had these disease at this age? I had an unbearable pain in my leg. Why God has given me this pain in life? What I did wrong in my life? I have a regret that I didn’t do anything for my parents and sisters. When I’ll be with God, I will ask him questions like why you gave me birth as a defective person?, Why I couldn’t do anything as per my quality? Now I am praying to God that don’t give me birth as a human again. I want to be a Stonech thing which cannot feel weather, relationship & friendship. I want to be a lonely stone of a dense forest. Because I am sick I don’t like any kind of noise. I love dancing & singing. If I’ll get cured I will fulfill all my wishes. Due to my disease, everybody in the society try to support me. My family is supporting me very much. I am the favorite son of my mother. She knows me & my needs very well always. She knows what I want to eat & she is prepares my food before I ask. My mother was the first person who knows about my disease - Cancer. After my cricket game my legs were swollen, my mother took the appointment. That time doctor told us about my cancer -disease. Then my mother did too much for me but she is no more with me that’s my biggest regret. I want her so soso much. I didn’t fulfill her wish like getting married. She died only because of my worries. That’s my biggest setback. Atmosphere of ‘Karunalay’ is very natural. As soon as we enter in the Karunalay, We feel so happy&at peace. 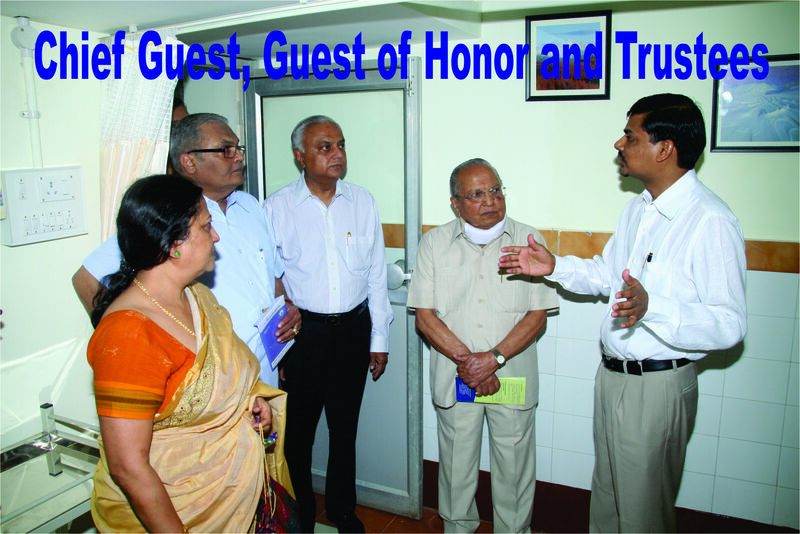 Facalities at “Karunalay” are like, -	Here bed is very special for special needy patient. -	Here staff is very Co-Operative so patient feels very homely. -	Here they celebrate all the festivals. 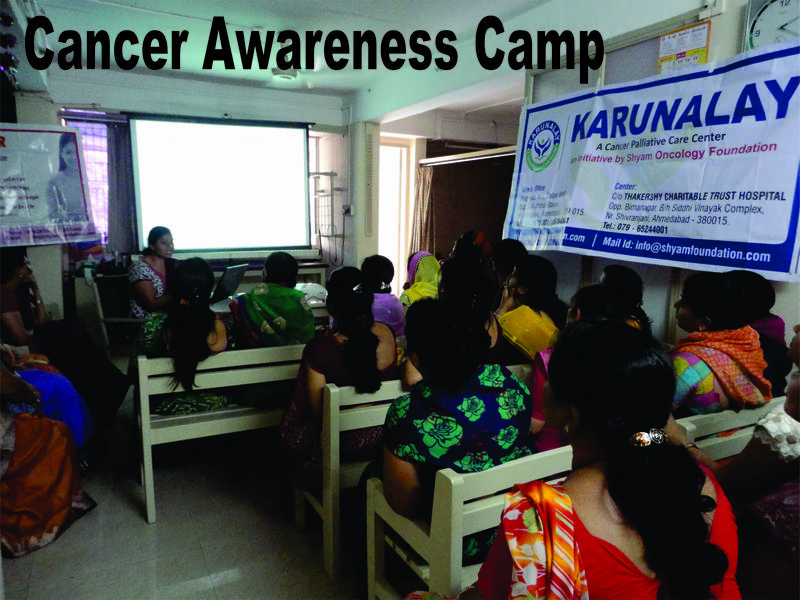 -	Karunalay is working very nicely for Cancer patient. 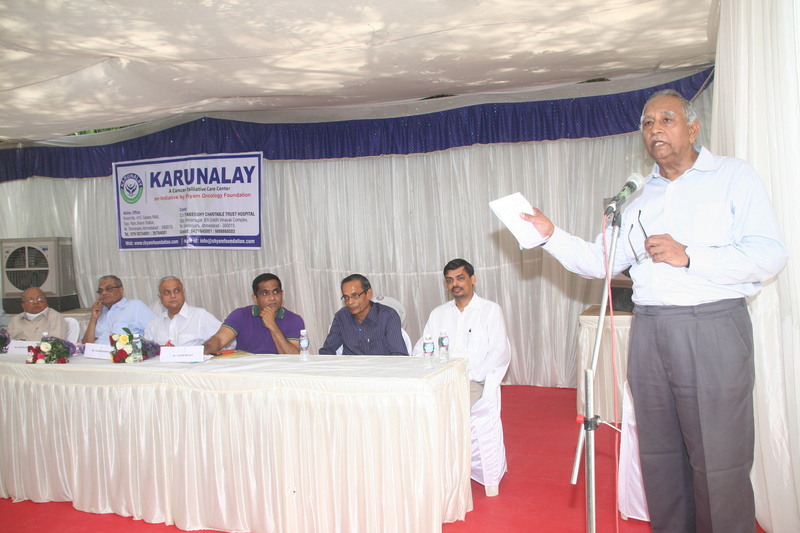 -	Karunalay is very good example for other organization. 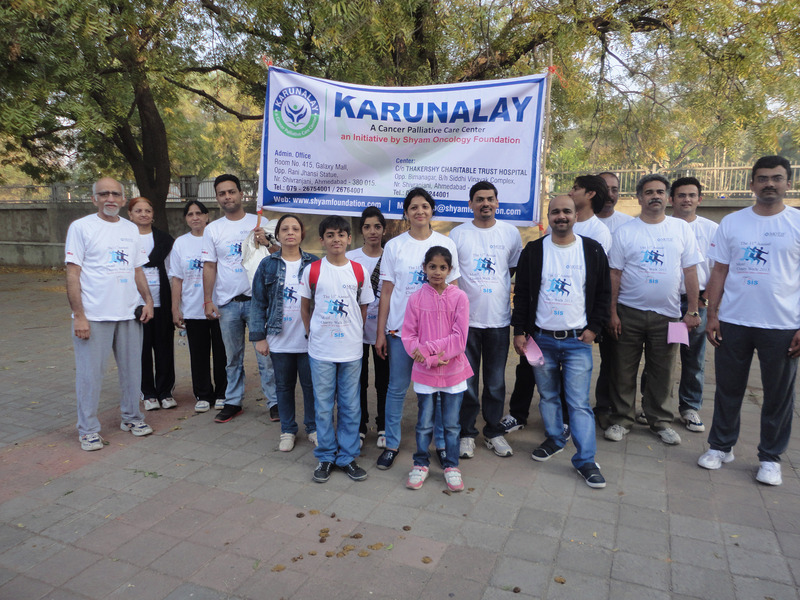 -	In short I can surely tell that ‘Karunalay is very best organization for cancer patient. 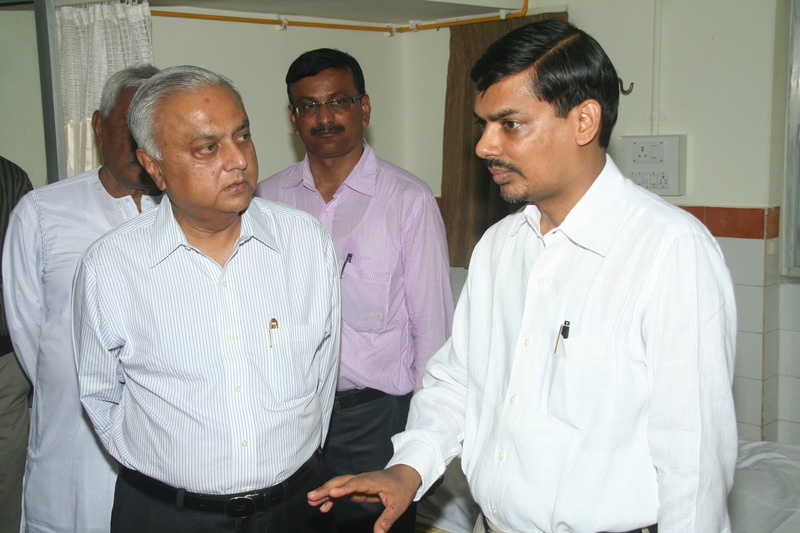 ‘Karunalay Cancer Center’ My self RajnikantFulchand Shah – Khambhat I am a patient of Cancer in 4th stage. I admitted at Karunalay on date 20.08.14. After that within two days I feel so good. 90% of pain is relieved away by medicine. Behavior of the staff of Karunalay is very nice & sober. In my whole life I have never seen center-Hospital like this. I have best experience of this center. Staff members are very nice, loving& careful. I am saying thank you very much with my heart for nice hospital & helpful staff members. RajnikantFulchand Shah Bol-Piplo, Khambhat. When we came to ‘Karunalay’ Hari was suffering frompassing stool and urine & swelling. He did not sleep for long time, as soon as we came here, we got the treatment &Hari felt better over here. We got very nice loving care at ‘Karunalay’. I cannot compare Karunalay with any other hospital. In other hospital we paid 2000/- rupees for abdominal tapping (removing water from the stomach). Here everything is free. After coming here he already started taking solid food from mouth. In Karunalay everything is neat & clean. Hari saw Ramayan on D.V.D. player, he liked it so much. He wanted to take D.V.D of Ramayan back home. Here when he played ‘Carom’ he remember his days of childhood days. In other hospital he does not like to stay but at ‘Karunalay’ he does not want to go home. But we have to go home because his wife is pregnant. She is expecting baby. He wants to stay with his wife. I want to say that at ‘Karunalay’ staff is very loving & caring, very Co-operative. Everybody is giving answer very quietly. Doctor is a very nice person. I had never seen hospital like ‘Karunalay’ where you feel very homely. My mother died because of me Because of my medical problem society was supporting me in my all activities, they use to behave well and I was supported by my family members. My family includes my father, he was in Govt. service, my three sisters and my mother. My mother is no more because of me. I was only son of my mother. As we know mother & son relation has no limit there is no replacement even by GOD for above relation. My mother use to fulfill my all sorts of activities like playing Laughing, Running etc. All my eating habits and taste was also taken care by my mother and she was preparing different types of dishes for me. She knows what I wanted to eat which I liked very much. My mother came to know about my disease first. When I come home after playing cricket,my leg use to swell at that time she use to ask what has happened to your leg. Are you ok ? We did full medical checkup. But when I get fresh, have some snacks and take rest, my leg becomes normal. We took the opinion of Doctor in Bapunagar at that time, my mother came to know about my disease. My mother was having too much attachment &affection towards me. She had taken too much care during my problem. Now she is no more in this world,for that I am very sad. She took care for Twelve years but she could not get any response after that I was not able to walk. I could not marry, so, I could not fulfill all that desire of my mother because of that she felt very sad and she expired. For that I feel I am the only responsible person.